In a large pot, cook bacon over medium heat until crisp. Remove to paper towels; drain, reserving 2 tablespoons drippings. Add beef cubes and brown on all sides. 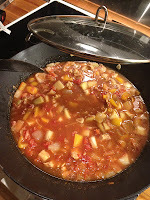 Add bell pepper and onions; cook until tender. Add garlic; cook 1 minute longer. Stir in the tomatoes, broth, paprika, salt, pepper and sugar. Cover and simmer for about 1-1.5 hours or until beef is tender. About 1/2 hour before serving, add the potatoes and reserved bacon; cook until potatoes are tender. 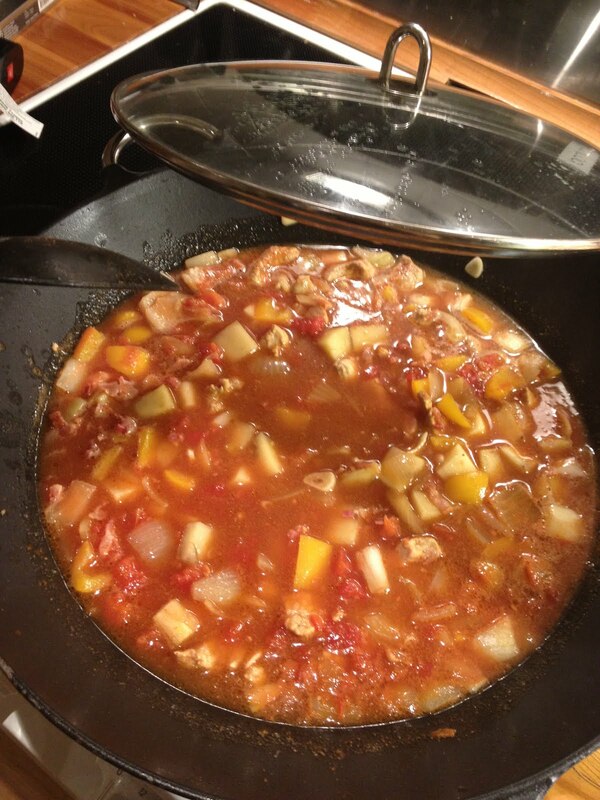 I used pork stew meat instead of beef stew meat. It was fine, but I think it would have been better with beef -- possibly minced beef would have been even better.